L7840 – WaterSaver Faucet Co. Valve Unit: Diaphragm-type valve. Brass valve stem and bonnet with inert elastomer diaphragm. Valve has manual on / off control. L7840SC Same as above except with toggle-style lever handle and self-closing control. L7840MSC Same as above except with toggle-style lever handle and combination manual / self-closing control. Note: If PVDF lining is required, add suffix “PVDF”. Vacuum Breaker. Gooseneck with integral vacuum breaker (add suffix “VB”). Gooseneck. 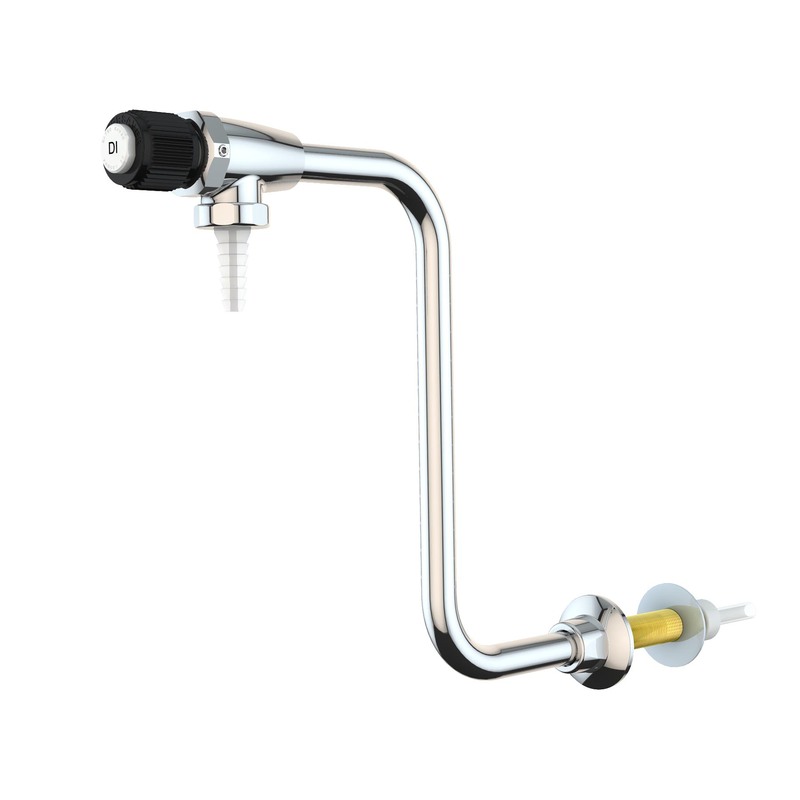 8″ spread gooseneck in place of 6″ (add suffix “8”). For other gooseneck spreads and heights, click here.